Located in Gretna, our Omaha furnace and AC repair and service company, provides prompt and professional indoor air quality services to residential and commercial customers in Omaha, Elkhorn, Bellevue, Papillion and La Vista in northeast Nebraska. Need to buy a furnace or A/C in Omaha Nebraska? We handle the details. 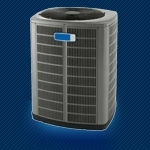 We install HVAC systems for your home or office. HVAC stands for Heating, Ventilation, and Air Conditioning. The technology was created to maintain indoor air quality through ventilation with filtration while providing thermal comfort year-round. HVAC systems are based on thermodynamics, fluid mechanics, and heat transfer. Snell Heating and AC is one of the best area Omaha Neb heating and cooling providers for residential/commercial HVAC systems. Whether you’re a homeowner wanting service of an electric or natural gas furnace, A/C or heat pump , geothermal unit repaired, or you want to buy a new electric or natural gas furnace, air conditioner, heat pump or geothermal unit to control heat/AC/hot water in Omaha, we can help!